Colorful legends and oral histories, geography and culture, original documents and archaeological evidence – all serve this richly illustrated series to examine the rise and fall of some of the great African kingdoms from their founding to the colonial period. 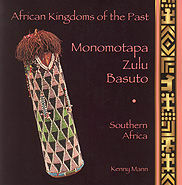 The six books cover The Western Sudan: Ghana, Mali, Songhay; The Guinea Coast: Oyo, Benin, Ashanti; West Central Africa: Kongo, Ndongo; Southern Africa: Monomotapa, Zulu, Basuto; East Africa: Zenj, Buganda; and Northeast Africa : Egypt, Kush, Axum. Ghana, Mali, Songhay: The Western Sudan. 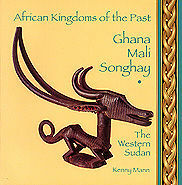 Why did the kingdoms of Ghana, Mali, and Songhay flourish in the western Sudan? Why did they eventually vanish? What traces of them remain today’? Stories of kings whose praises are still sung, of wealth beyond imagination, of battles for power, of the coming of Islam, and of ancici-it trade routes spanning an entire continent illustrate the complex flow of events over 2,000 years of the region’s history. Who founded the kingdom of Oyo? What drove the warring Ashanti to form a federation? 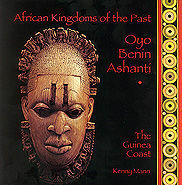 Andy why did Benin go down in history as “The City of Blood”? Ancient stories and more recent eyewitness reports relate the series of historic events that built and destroyed these great kingdoms. Despite the ravages of the slave trade and the crushing pressures of colonialism, these stories live on, celebrated to this day in Africa and throughout the African diaspora. For almost 400 years, the fate of west central Africa – now Angola – was driven by the slave trade. 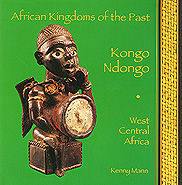 How was Afonso, king of Kongo, involved? Why was Beatrice Kimpa Vita burned at the stake? And how did Queen Njinga outsmart the Portuguese authorities? There are no longer kings and queens in Angola. But the tradition of resistance to colonial power continued well into the twentieth century. Gold, fertile land, and diamonds brought European invaders to southern Africa. What did they find in Monomotapa? Who lived to tell the tales of the notorious Zulu king, Shaka? And why did the Basuto king Moshweshwe retreat to his “Mountain of the Night?” These stories bring to light African, Dutch, and British rivalries throughout the region’s turbulent history. Medieval chronicles relate how Muslims settled on the East African coast, known as Zenj, where the African-Arab Suaheli culture evolved. Here, Sultan Hasan ibn Ali founded Kilwa, gateway to the lucrative gold trade. How did Zenj survive two centuries of Portuguese invasions? 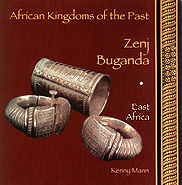 And what brought Zenj traders to the kingdom of Buganda, where King Mutesa entertained European explorers? These stories illuminate the complex history of trade and settlement in the region. Along the Nile River, the kingdoms of ancient Egypt and Kush flourished, leaving behind their stories, carved in stone. What mysteries still surround Hatshepsut’s reign as pharaoh? And how could Piye, the Nubian king of Kush, defeat almighty Egypt? 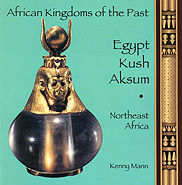 Did Ezana, Ethiopian king of Aksum, deliver the final blow to the Kushite kingdom of Meroe? New research reveals fascinating details in the lives and times of these ancient rulers.